I learned a new word this week: neuro-diverse. It’s a relatively new addition to the ever-changing lexicon of disability. In a nutshell, it means that for those of us whose brains work a little differently from most, this difference is something to be celebrated rather than pathologised. Instead of viewing (for example) autism/ADHD/anxiety as a medical problem, the concept of neurodiversity recognises these ways of thinking as simply different lens through which some of us experience the world. 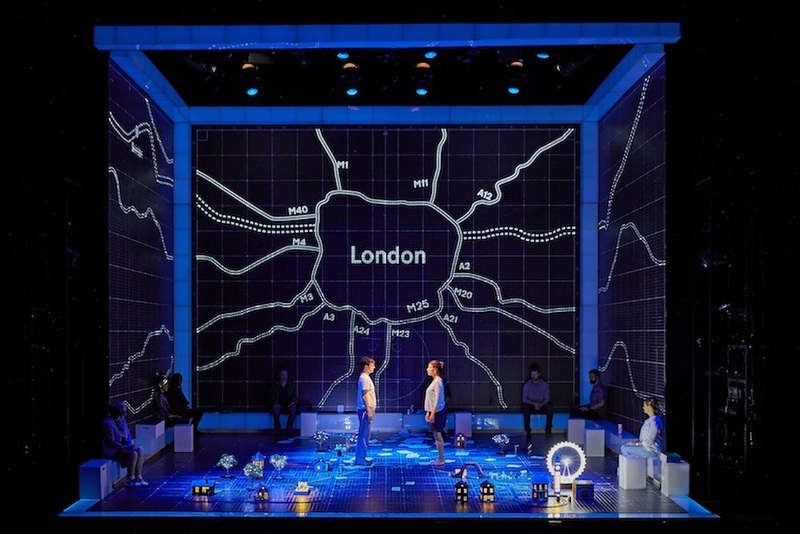 This concept was floating around my particular brain Wednesday night when I caught the National Theatre of Great Britain’s production of The Curious Incident of the Dog in the Night-Time, directed by Marianne Elliott. The play is based on Mark Haddon’s acclaimed novel of 2003. In it, Christopher Boone (aged 15 and three quarters) is trying to solve the mystery of who has killed a beloved neighbourhood dog. Christopher has autism (his particular variant would once have been called Asperger’s Syndrome), his mother is dead, his father is struggling and the world around him is about to change dramatically. We are terrified for Christopher, protective of him, but awed at the same time by the sheer gutsiness of his desperate adventure. Joshua Jenkins (Christopher Boone – role shared with Kaffe Keating). Photo: Brinkhoff Mögenburg. So how does one achieve onstage that rare and acclaimed thing achieved by the book? A genuine, realistic portrayal of the inner workings of the mind of someone with autism, set within a cracking story? Haddon’s book, despite not being written by someone with autism, manages to give readers meaningful insight into the way Christopher processes the world without making his autism the central theme. Interestingly, since writing the book, Haddon has come to regret its association with Asperger’s, largely because of the boneheaded presumption (made mainly by facile reporters) that he is somehow an expert on autism. No matter – the book has resonated deeply with readers throughout the world and the play, brilliantly adapted by Simon Stephens, is playing to packed houses across the globe. Any adaptation of a beloved text is a risky business. 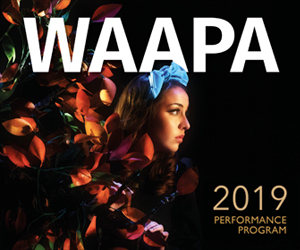 Stephens wisely lifts great chunks of Haddon’s marvellous writing directly onto the stage, channelled through the character of Siobhan (Julie Hale), Christopher’s kind-hearted teacher. Siobhan reads Christopher’s story of his experience as though he had written it for her, as a school assignment. This device is seamlessly interwoven with the more active parts of the plot, giving us the compelling internal voice of Christopher without sacrificing the pace of the play. Indeed, there’s even sly asides to the audience about how Christopher’s book would make a terrific play. The set is sparse – a black box illuminated by an ever-changing backdrop of lights and projections. The clamour of London bursts onstage in a blistering fusion of noise, flashing lights, projected advertisements and public warnings. God, I felt anxious just sitting there observing it! We are terrified for Christopher, protective of him but, at the same time, awed by the sheer gutsiness of his desperate adventure. The clamour of London bursts onstage in a blistering fusion of noise, flashing lights, projected advertisements and public warnings. Joshua Jenkins (Christopher Boone), Emma Beattie (Judy) and company. Photo: Brinkhoff Mögenburg. As you might expect from a premier theatre company from London, the acting is uniformly excellent. Kaffe Keating is an obvious standout for his sensitive and nuanced portrayal of Christopher and Stuart Laing, as his father, is wonderfully understated. It’s a work with a complex morality – there’s no right or wrong here. With the one exception of the caricaturish Mr. Shears, the characters exist in an ethical grey area, trying, but more often failing, to do right. There are times when the play, like the book, can feel weighed down by its cavalcade of misfortune (surely Christopher’s adventure and the prompt for that adventure is drama enough without the abusive boyfriend) but this is a minor quibble. In the end, the real beauty here is not that Christopher prevails, but that we’re genuinely appreciating Christopher’s interpretation of the mad chaos of contemporary society. His unique perceptions seem more acute than ours, blunted as they are by social mores and the incessant blur of conventional living. 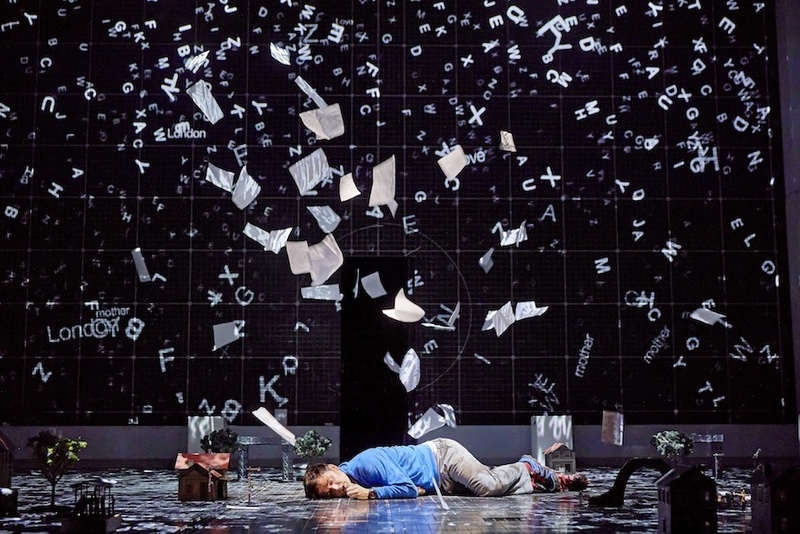 The Curious Incident, perhaps unintentionally, deftly makes the case that disability activists the world over are currently making: save your pity, we don’t need it. Pictured top: Joshua Jenkins (Christopher Boone), Amanda Posener, Matt Wilman and Oliver Boot. Photo: Brinkhoff Mögenburg. On the night viewed Christopher Boone was played by Kaffe Keating.